Home > Knowledge Center > Is Artificial Grass Recyclable? In the past, folks who manufactured or purchased artificial turf were usually not concerned with whether or not it could be recycled. Even though it could have been possible to make artificial grass recyclable decades ago, recycling just was not really a thing. People were still throwing away soda bottles and food cans and not giving it much thought. Of course, we all know just how much that has changed and just how much recycling has become a part of our lives. Along with an increasing interest in renewable resources, recyclable goods and sustainability, folks are looking for ways to conserve water – particularly in drought-ridden Southern California. This has led to an increase in interest in synthetic turf and, as would be expected in our greener-minded culture, these same folks are more concerned about the ability to recycle artificial grass. Even after recycling other items became a way of life, synthetic turf was still not being recycled, which is likely where so many folks got the idea that it is not recyclable. This meant that synthetic turf, whether used on sports fields or in residential applications, almost always ended up in a landfill at the end of its useful life. However, this no longer has to be the case and there are other options that have now made manufactured grass a better choice for eco-minded folks. The life expectancy of an artificial lawn in a residential setting can be up to 20 years or even a bit longer with proper installation and regular maintenance. However, the lifespan of a turf field used for sports is about 10 years, which makes fake grass used in these applications more of a threat to overflowing landfills. Unfortunately, most artificial athletic field surfaces still end up in a landfill, but with the expansion of better options, this is beginning to change. The mixed plastics in manufactured grass usually can be recycled. The issue is that this turf material needs to be separated from the infill in order to be recycled for use in making plastic products. The primary challenge, both in the past and now, is how to separate the materials in artificial grass so that they can be recycled. It is often less expensive to just take it to the landfill, and this is certainly the simpler option. Therefore, lots of folks are still using this disposal method, even though there are other options. There is now specialized equipment designed specifically to separate the materials to make artificial grass components recyclable, and some turf used on athletic fields has been being recycled since about 2010. However, although the equipment is available, there are still a limited number of companies that have this equipment and can prepare synthetic grass materials for recycling. So, while it is now possible to recycle much of the manufactured turf on the market, this practice is still not as widely used as it could be. With continuing technological advances in both the manufacturing process and the recycling process, we can expect to see more fake grass, infill and underlayments being recycled in the future. Can Artificial Grass Be Repurposed? 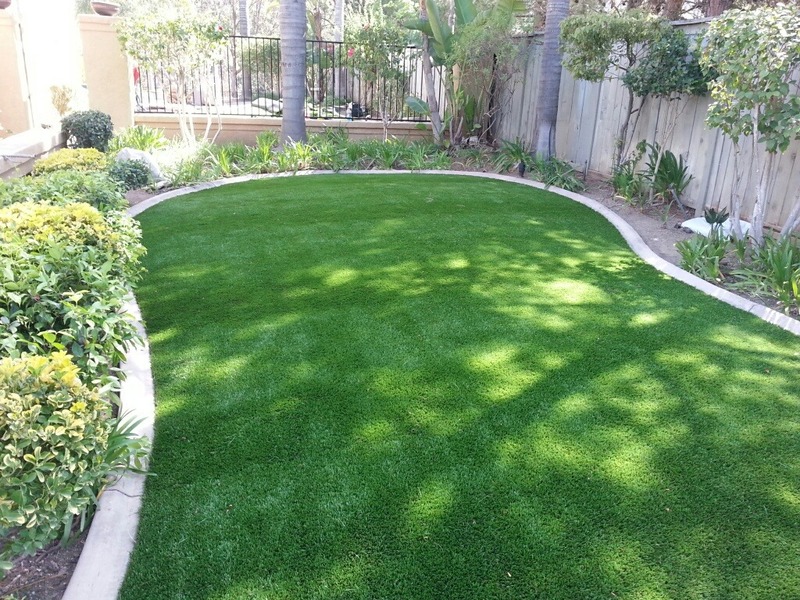 Manufactured lawns used in residential settings are more likely to stay in place until the end of their useful life, which can be up to about 20 years; however, synthetic turf sports fields that experience heavy use are usually only in use for that purpose for about 10 years. According to the Synthetic Turf Council, a typical sports field has about 80,000 square feet of artificial turf and about 400,000 pounds of infill. This is a lot of turf to send to a landfill at the end of its useful life as an athletic surface – enough to fill 15 to 20 30-yard dumpsters (Synthetic Turf Council, Removal, Recovery, Reuse and Recycling of Synthetic Turf and Its System Components). Therefore, this is where the real issue is: Just one field can produce this amount of waste every 10 years. After a decade of use, it may be time to replace the pitch with new manufactured field turf, but the grass being removed may still be usable in other applications. Therefore, while it could be recycled at this point, it may be a better option to first repurpose the turf elsewhere, and then recycle it once it has truly reached the end of its useful life. The crumb rubber infill that is often used in sports fields can be recycled to make a wide variety of products, but it, too, can be reused in other applications before it is recycled. For example, it can be reused as infill for artificial turf, on roads, and for a variety of construction and industrial purposes. Another way fake grass infill can be reused is to incinerate it to produce energy. While it is great to be able to reuse materials in energy production, this process also produces pollution and is generally not the best way to repurpose artificial turf components. It is worth mentioning because it is a method of disposal being used, but other options should be explored first. 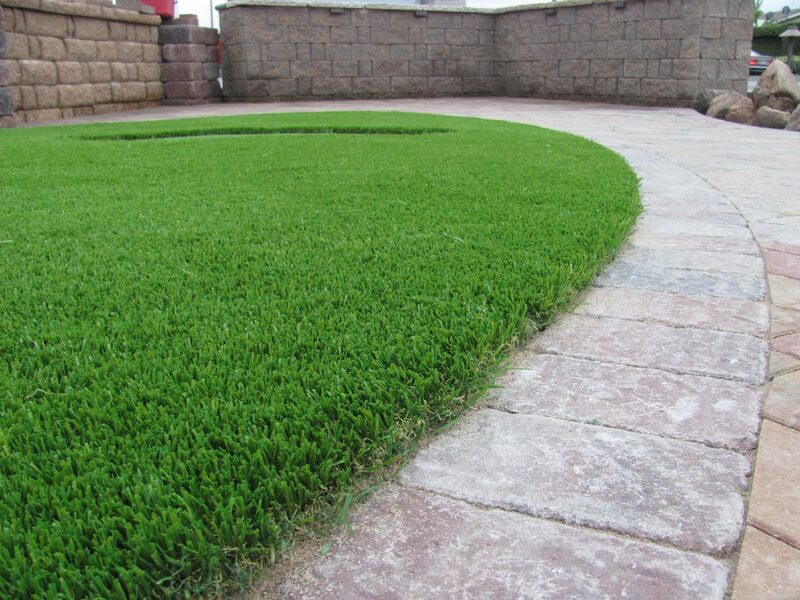 Artificial Grass vs. Real Grass Guide: Which One Is Better?